A hospitality business is as good as the people in it. Without staff with the right attitude and adequate training, the venue (hotel, restaurant, bar etc.) would be a pointless endeavour. We strive to offer an experience, not merely food and drink items. This is where a good employee induction comes in. If you are a manager working in hospitality, you know all about the challenge of finding the right people for your team – so once you do, you want to make it count. Let’s assume you found the perfect candidate. The trial shift was a success and they are keen to be part of the team. Great! You’re half way there. You hired the attitude, now you have to train the knowledge. There are several lessons young grasshopper needs to learn before they can flourish into the team member they want to be. Things like how to handle guest complaints, skills around productivity and time management, health and safety, and so much more. So, where do you start? In this article, we have you covered with the first five courses that any new hospitality staff member should do during their formal induction process. An essential lesson that any person working in hospitality must learn is that good customer service propels everything. With good service comes a satisfied customer, which leads to a confident employee (bar tender, waiter, receptionist etc.) This cycle leads to an inductee to realise when there is an upselling opportunity and thus provide further value to the guest, leading to greater profits for the company. Everyone is a winner when good customer service is applied. This course is by far an essential. When you think about, waitpersons and bartenders are customer service representatives and sales people combined in one! Hospitality is first and foremost a human-interaction industry. Staff must be prepared to face unhappy guests who voice their frustration about an issue in the service. It is therefore essential to train our hospitality staff to carefully and respectfully guide the interaction with the customer to a positive conclusion by using empathy and problem solving. Let’s face it, it’s not that easy to plan ahead in a hospitality role. Every day is different with its unique challenges. But there are certainly some great skills to be learned around time management which will help your new employee hit the ground running with a clear mind and a solid mission plan to fall back on. Good time management leads to mindful and present hospitality during which we can truly help our guests and give them the time they deserve. The health and safety of employees and guests is a priority, and hospitality presents a unique set of risks. While most dangers can be avoided through management supervision, we must equip our new recruits with the right knowledge to avoid and/or handle costly, time-wasting and potentially dangerous accidents on the job. The hospitality industry is no different than any other when it comes to the importance of good communication between teams and their customers. 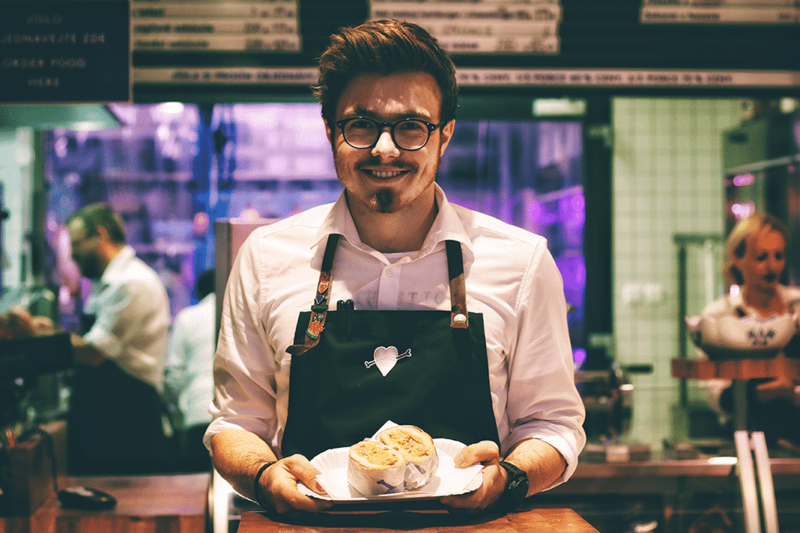 Add the fast-paced nature of the job to the mix, and the hundreds of guest-interactions an employee may have daily, and good communication becomes an asset you cannot do without. Hospitality is known as the service industry, and for this to be successful your new employees must learn how to share information clearly, timely and entirely whilst effectively dealing with questions and complaints that may come in thick and fast! The good news is that positive communication generally leads to a guest’s peace of mind and overall trust in the staff and overall brand. Innform’s Automated Induction tool can help your new employee hit the ground running and save management valuable time. Once you create or buy the above courses and have them in your LMS / eLearning system, the next step is to automate the induction for your new employees. This feature can help hospitality managers save valuable time that can in turn be used to build a good relationship with new recruits or to provide additional mentoring. Inductions are infinitely easier with Innform’s automation tools. Simply organise your induction routines in the control panel and send them straight to the new employee’s app on their arrival – it takes seconds! Everything else is handled by Innform. To learn more about automated inductions in the Innform hospitality LMS tool, visit the feature section. Innform is coming in FREE Beta this July!